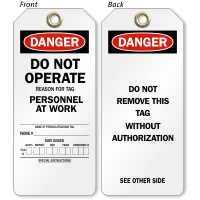 Two-sided OSHA Danger Tag is a great way to warn people against possible accidents. 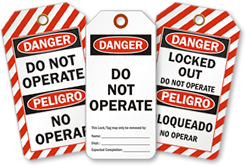 Communicate your safety message effectively with this Do Not Operate, Personnel At Work. 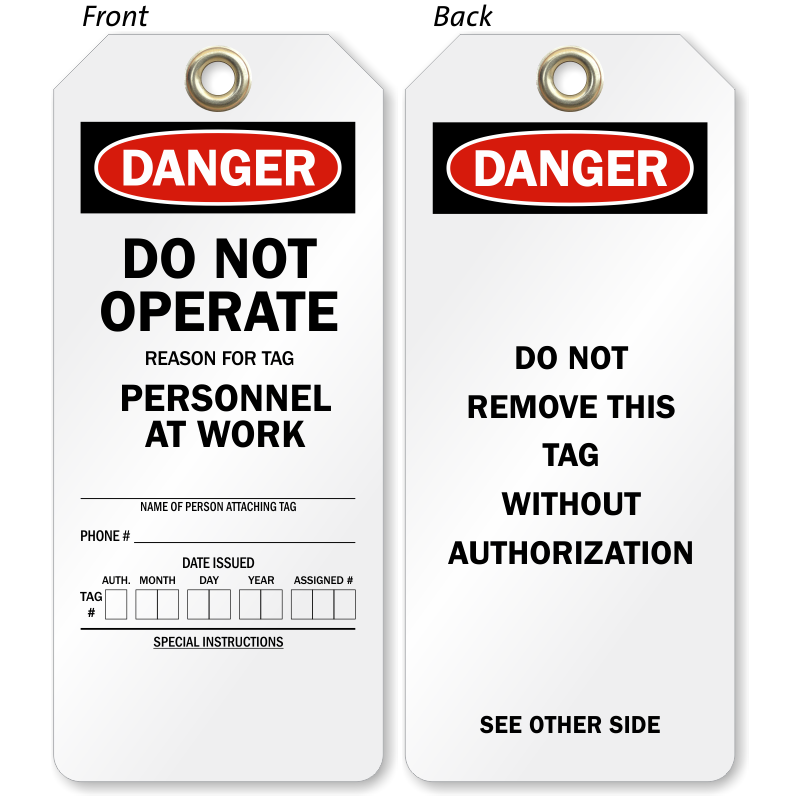 • Tag informs employee of potential hazards of a machine or equipment. 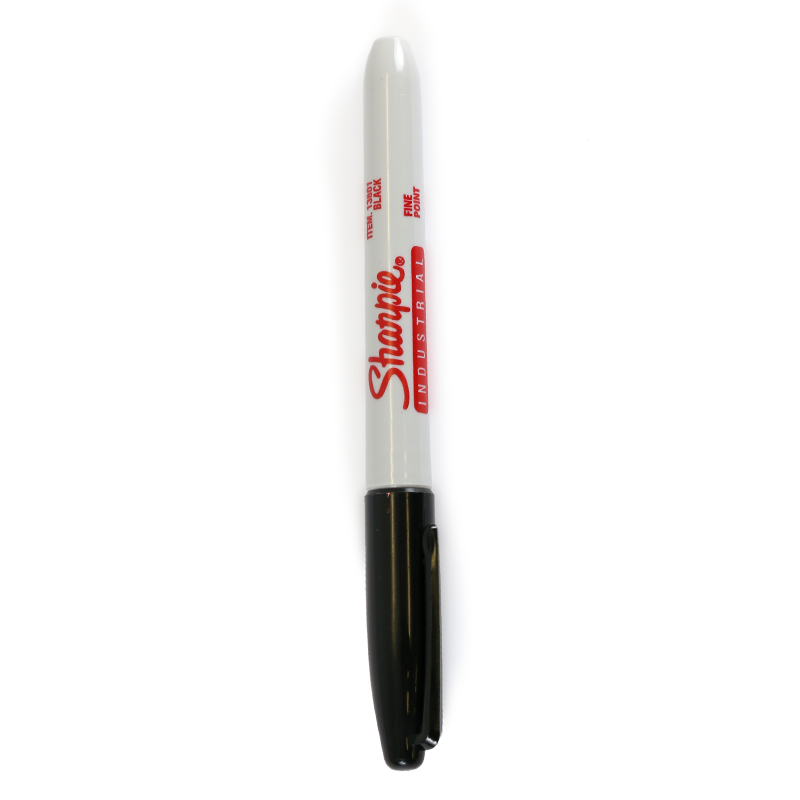 • Tag has a reinforced eyelet for extra pull strength.